Description: BrandCrowd's logo maker combines a huge library of premium, unique handcrafted logos with an advanced logo editor. BrandCrowd produces higher quality, more unique logos for startup and entrepreneurs than other logo makers. Most logo maker tools use free clip-art icons from libraries like the noun-project while BrandCrowd's unique designs are sourced from top designers from around the world. Description: Logojoy is better than other logo creators because it employs AI to learn what design elements work well together in order to guide you intelligently through the process of creating your logo. 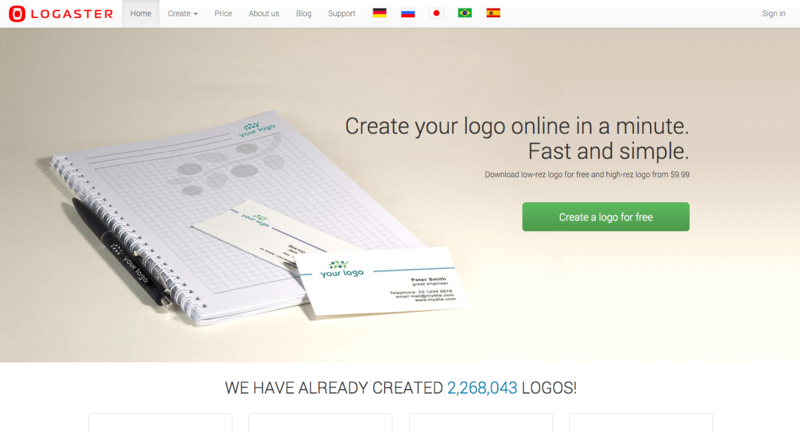 Their free, easy-to-use online logo maker helps you create an amazing logo in seconds. No design experience necessary. Description: Logo builder that helps business founders create professional logo designs as fast as they can. Use code STARTUPRESOURCES30 at checkout for a 30% discount! 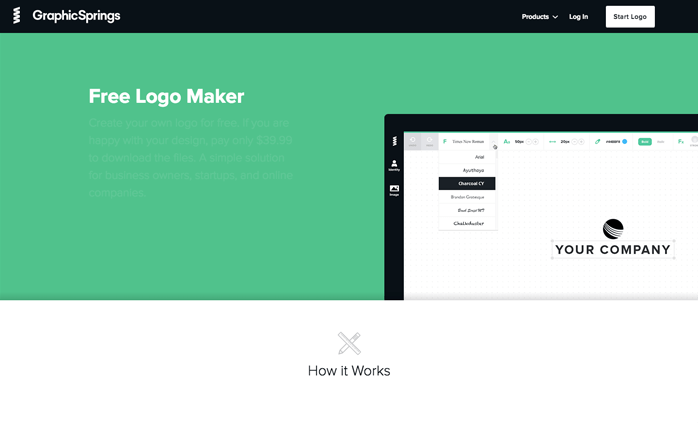 Description: 99designs is a great resource for logos. They help everyone design a logo from the conception to the creation providing top design knowledge and connecting with the biggest online community of designers. Run contests and get people to vote on what they think is the best design. Description: A fast and easy way to come up with a logo, with an intuitive designer interface that is as slick as Illustrator in some ways. Choose from tons of basic shapes, clipart and fonts to put together a pro looking logo in hardly any time. Download a 300x300 image for free (which is big enough for site logos and favicons) or download a vector version for cheap. Description: Create a logo using their system by choosing from designs, shapes, etc. If you like what you came up with, pay $39.99 to download a high quality version. It's free to go back and edit it afterwards, if you need. Description: Logogarden lets you make a logo for free, but it's $12 or so to download a high quality version of it. We used LogoGarden at a previous startup to easily and quickly come up with a very professional looking logo. I'd recommend it most out of these three logo tools. Description: A more interesting UI than the others, Logomakr lets you whip up a logo using their clipart and online tool, and then it's free to use elsewhere on the web. Description: Logaster is one of the best sites which you can use to create logo online. It gives you professional looking logo. All you need is to enter a name and add a business type. The service generates dozens of logo concepts to choose from. You are free to to edit or download as is. Logaster supports popular image formats such as PNG, PDF, SVG, and of course, JPEG. Note that creating a beautiful logo is as simple as a few steps. It's aim is for anyone without designs skills whatsoever to be able to create a professional logo. Logaster also allows you to create favicons, business cards, envelopes and blanks. Description: More of an editor for logos than an automated logo generator. Free to use. Description: LogoSnap is a DIY logo maker software which allows users to design logos themselves and download for a price.